Tube-Fab Ltd has over 60 machines dedicated to precision bending, forming and fabrication assemblies to meet your exact requirements. Using the state of the art CNC bending and laser measuring equipment we fabricate assemblies from .1875” OD up to 3.25”Od. 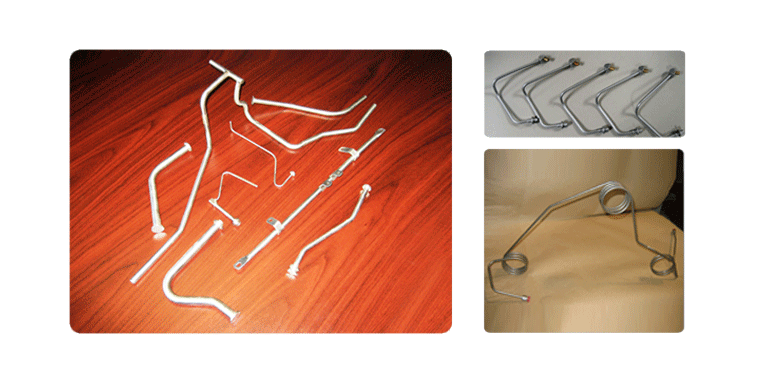 Tube-Fab Ltd is able to fabricate complex multi and compound bends and angles. Tube-Fab Ltd works in all materials, stainless steel, aluminum, titanium,inconel,hasteloy,nylon, rubber. Round, Square and channel are common for us. Tube-Fab Ltd has equipment and tooling allowing us to use mandrel or non mandrel bending processes based on client’s specifications. Tube-Fab Ltd’s in house tooling center allows us to build or modify tooling that is not commonly available. Tube-Fab Ltd minimum ovality, exact dimensions, smooth bends(on OD and ID) is given.